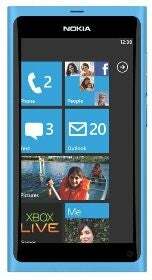 Nokia will use ST-Ericsson's dual-core NovaThor chips in future Windows Phones, the companies said on Wednesday. Nokia launched its first such devices, running Windows Phone 7.5 or Mango, last week. The Lumia 710 and Lumia 800 contain processors from Qualcomm and will cost €270 (US$370) and €420 before taxes and subsidies. The deal is a big win for ST-Ericsson, because Qualcomm has until now been the sole provider of the processors for devices running Windows Phone. ST-Ericsson said its chips will "enable Nokia to extend Windows Phone devices to new price points and geographies." Nokia didn't elaborate on its intentions, but in the past it has said it plans to release lower-priced smartphones running Microsoft's software, in an effort to expand the use of Windows Phone to developing markets. The entry-level chip in ST-Ericsson's NovaThor range, the U5500, hints at what can be expected from the upcoming phones. It can handle mobile network access using HSPA+ (High-Speed Packet Access), control a 12-Megapixel camera and record video at 720p. The U5500, like other chips in the NovaThor range, has a dual-core processor. It runs at 800MHz, the others run faster. Although Apple's new iPhone 4S and a number of Android phones have dual-core processors, even high-end Windows Phone devices only have single cores today, because Microsoft's mobile operating system can not yet make use of additional cores. The U5500 can be used to build smartphones that cost under $200 before subsidies, according to a spokeswoman at ST-Ericsson. Nokia will probably start shipping lower-priced Windows Phones next year, according to Roberta Cozza, principal analyst at Gartner. "It should aim for a price point around $150," said Cozza.